Free-speech advocacy organizations and press-freedom groups on Friday warned the Department of Justice against potentially subpoenaing reporters in investigations of information leaks, after the attorney general said Friday that the department was reviewing its policies on the matter. In a press conference on Friday announcing new steps to crack down on federal government leaks, Attorney General Jeff Sessions said the department was "reviewing policies affecting media subpoenas," saying reporters' abilities to disclose information had to be weighed against national security concerns. "We respect the important role that the press plays and will give them respect, but it is not unlimited," Sessions said. "They cannot place lives at risk with impunity. We must balance their role with protecting our national security and the lives of those who serve in our intelligence community, the armed forces, and all law-abiding Americans." Several press-freedom and First Amendment groups immediately condemned the planned moves. Freedom of the Press Foundation senior reporter Peter Sterne said the DOJ was "explicitly threatening to haul journalists before grand juries and force them to testify about their confidential sources or face jail time." 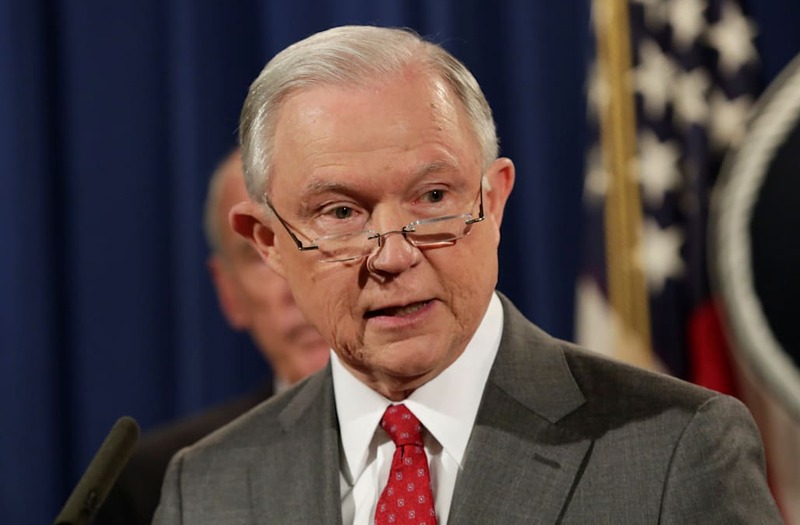 "Sessions' comments seem intended to have a chilling effect on journalism, by making reporters and their sources think twice before publishing information that the government does not like," Sterne said. "That will leave leave all Americans less informed about what the Trump administration is doing behind closed doors." The American Civil Liberties Union's speech, privacy, and technology director, Ben Wizner, said "Americans should be concerned about the Trump administration's threat to step up its efforts against whistleblowers and journalists." "Leaders can't be trusted to disclose vital information that reflects poorly on themselves," Wizner said. "The first months of the Trump administration dramatically illustrate that point. Can anyone seriously argue that our country would be better off if the public received all of its information through official channels alone?" Others criticized Sessions' invocation of national security without citing any specific instances in which leaks endangered American lives. Reporters Committee Executive Director Bruce Brown said current guidelines "reflect a great deal of good-faith discussion" between the news media and the Justice Department. "The attorney general's intent to revisit the guidelines is deeply troubling as is the frame he put around it today – that reporters are putting lives at risk," Brown said. "Journalists and news organizations have a long history of handling this information in a responsible way, working with government officials to evaluate potential harms, and taking steps to mitigate any damage when there is an overwhelming public interest in revealing it." Reporters often publish stories with possible implications for national security. The New York Timessat for a yearon the news that President George W. Bush authorized the National Security Agency to conduct domestic eavesdropping, a decision that some Democrats believe may have help the president win reelection. Trump isn't the first president to draw the criticism of press freedom groups over the threat of subpoenaing journalists to reveal sources. The Obama administration also took an aggressive stance toward leaks, monitoringjournalists' phone records and subpoenaing reporters in hopes of forcing them to reveal sources in criminal investigations. The administration eventually relented, however, on one high-profile case in which a New York Times reporter faced the possibility of jail.